effortlessly. Book your demo today. transcription and text analytics technologies. Proven ROI of your Investment. Solutions and recommendations tied to specific and quantifiable ROI for your investment. Ensures clear realization of your expectations and our outputs. With SmartSpeech, you do not pay for anything upfront. You pay for what you use for your project and your results. SmartSpeech brings the lowest ingestion rates in the market for your data. Now invest confidently in speech analytics. SmartSpeech groups data into dimensions and measurements for unfolding complex relationships between business variables. For example, relationships between sales by Geography, Time and Demography. 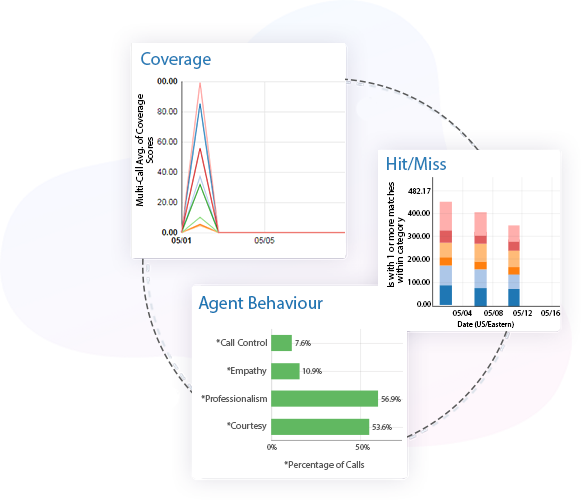 Analytics enables you to deep dive into categorized calls and even suggests root causes for the issues you are facing. It also helps in performing comparisons based on demography, time and gender. Keyword Spotting helps you in identifying the right keywords in utterances by analysing conversation between your agents and the customers. Why SmartSpeech For Speech Analytics? 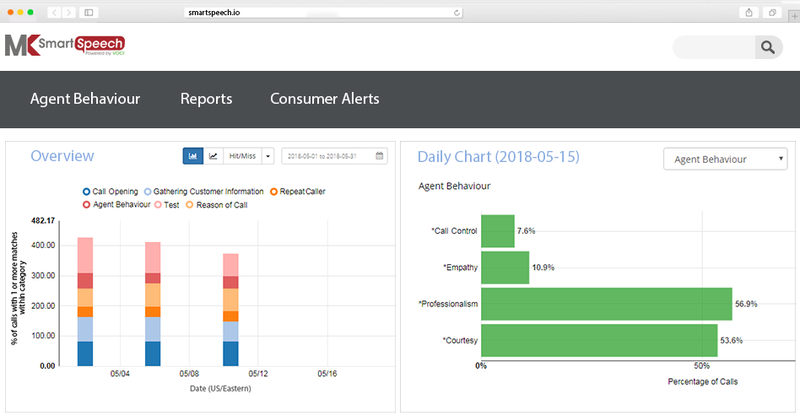 SmartSpeech can help you derive actionable insights from the large volumes of unstructured data of your contact center. It can be your go-to tool for building your competitive advantage and gain significant improvement in your organization’s customer experience. SmartSpeech can help you in monitoring your agent’s performance, their challenges and coach them for improve on them. This tool is your ideal solution for reducing your operational expenses by identifying and eliminating the factors contributing to your increased running costs. Access to 100% transcripts with an option to export JSON/txt files to other analytics platforms. Experts are available for consult for your requirement and business needs whom you can rely on for best results. 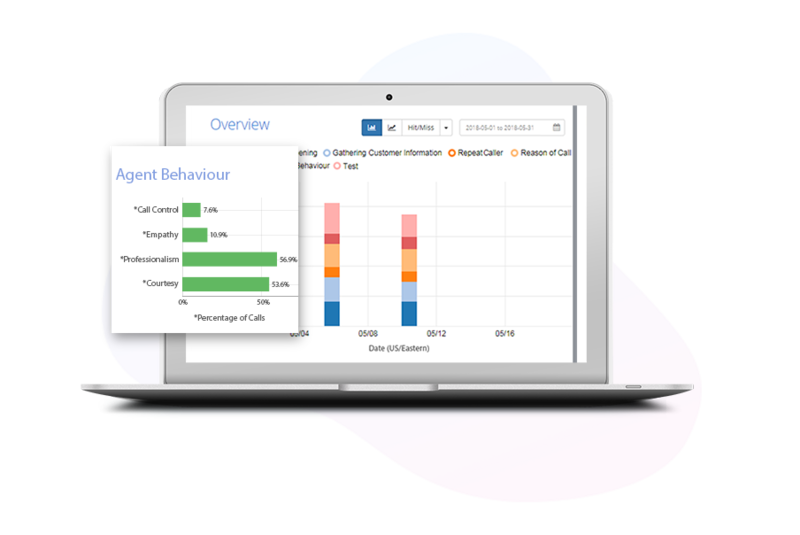 Simple and straightforward analytics platform with a non-complex, highly user-friendly application interface. Comes with features like speaker separation, gender identification and even sensitive information redaction. SmartSpeech helps you achieve your business outcomes, reduce your customer attrition and more. Ask for your starter package here. 100 hours of call data ingestion. Test it today.